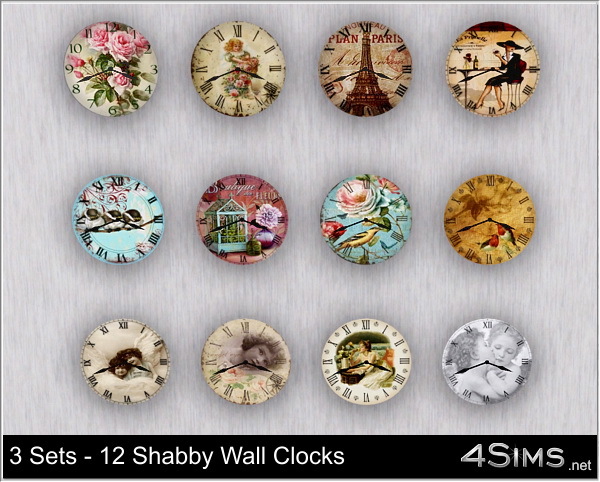 12 Shabby wall clocks for Sims 3 divided into 3 sets with different themes: birds, faces, Paris – flowers. 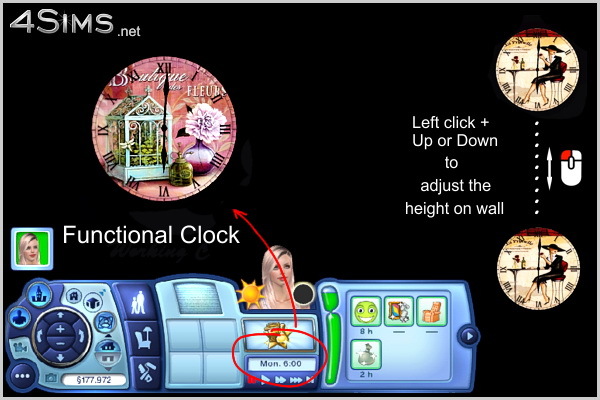 New custom mesh base game compatible, 2 recolorable zones, environment +2, adjustable height on the wall by left mouse click plus drag up or down, functional showing real game time, can be found in Electronics. 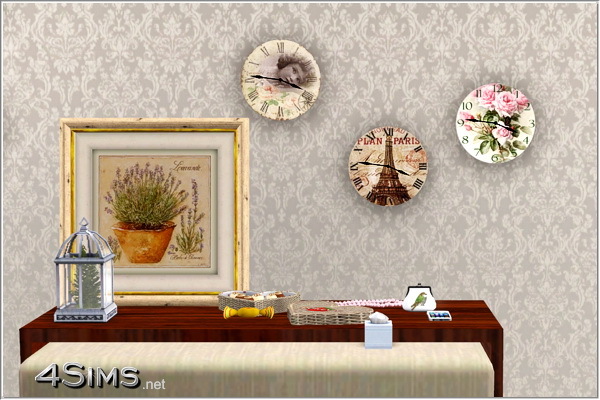 THANK-YOU FOR THE GREAT ITEMS.